Have you been to any birthday parties lately? How about a graduation party, or a Bar Mitzvah? Most parties have two things in common: they are fun, yet often forgettable. Your next party can be fun, inspiring, thrilling, and most certainly memorable. With a bit of outdoor space, you can host a Wipeout-style party this summer. Whether it’s a graduation celebration or a “just because” party, you can make your next event unforgettable. Millions of Americans are watching the hit ABC game show Wipeout for belly-laughs and thrills. Many secretly wish they were on the show themselves. Thanks to inflatable obstacle courses from companies like Space Walk, Wipeout enthusiasts can recreate the show’s obstacles in their backyard! 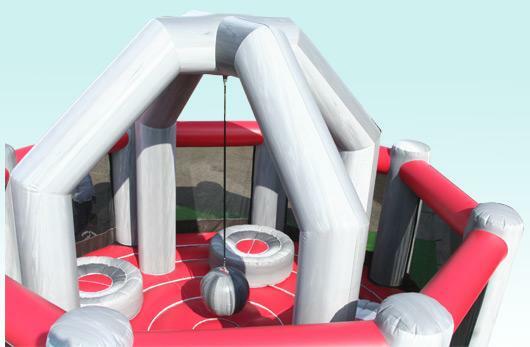 The Wrecking Ball: Kids and adults alike will have the time of their lives as an enormous inflatable swinging ball knocks them all to their knees. 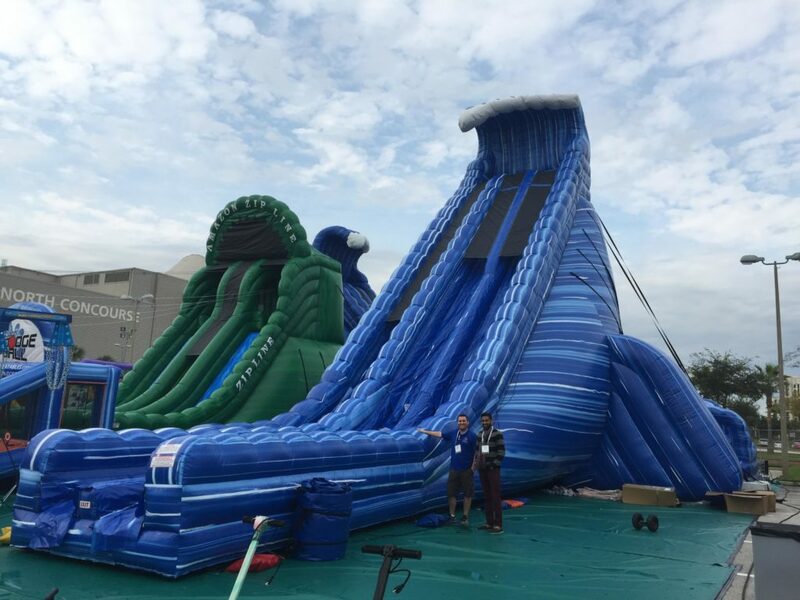 The Big Baller: Taken straight from Wipeout, this crazy course will have guests scaling a steep incline, then jumping over huge balls in hopes of landing on the safety mattress. 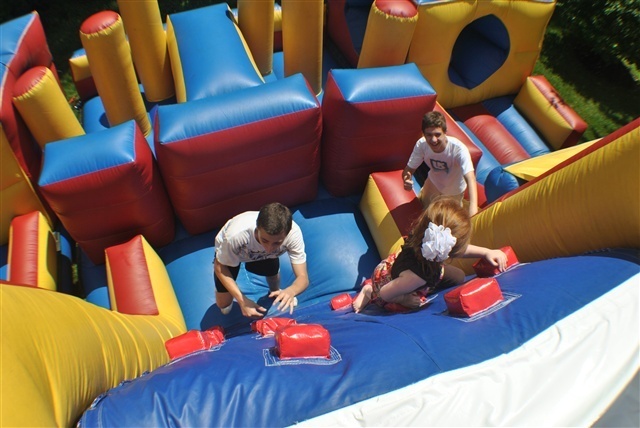 The Rock Climb Slide Obstacle Combo: Two challengers can compete in this inflatable obstacle course at once to see who gets to slide down to safety first. Adrenaline Rush: This obstacle course will have serious thrill-seekers compete for laughs and pride as they race across 90 feet of challenging terrain. Wipeout Water Slide: Thrill-seeking guests will be drawn to this 36-foot behemoth. Your guests can slide down, ending with a cool splash from the bottom pool. Make your own spin on the Wipeout craze! With Space Walk’s large variety of inflatable obstacle courses, you can create age-appropriate fun for any party. Space Walk is licensed and insured, but most of all, we’re safe. So, although the point of Wipeout is to “wipe out,” you know that all your guests will be protected in our clean, well-maintained inflatables. Next time you have a party, make it a unique challenge! With a little competitive spirit and some Space Walk inflatables, your party will be anything but forgettable!